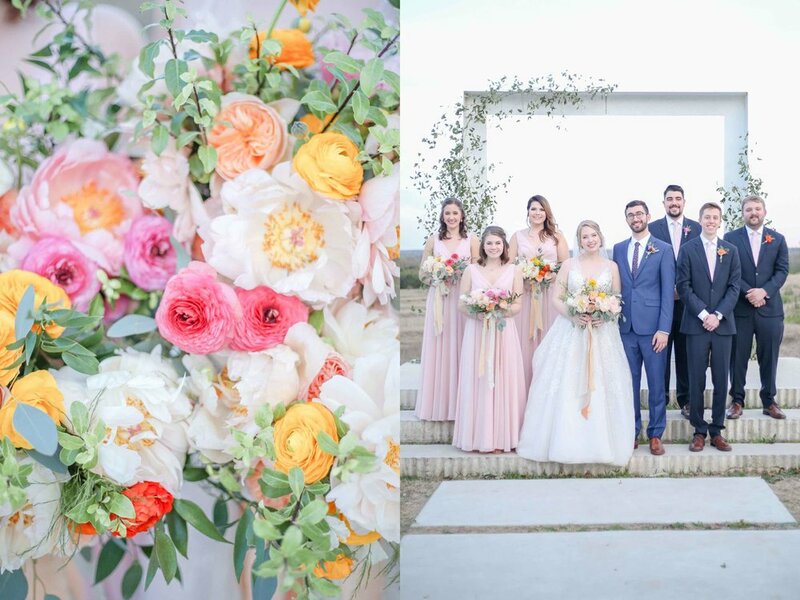 Have you ever thought about what it would be like to have a really colorful and fun wedding, but wasn't sure if it was a good idea? Let me go ahead and show you why it is a REALLY REALLY good idea & to push all doubts to the side! 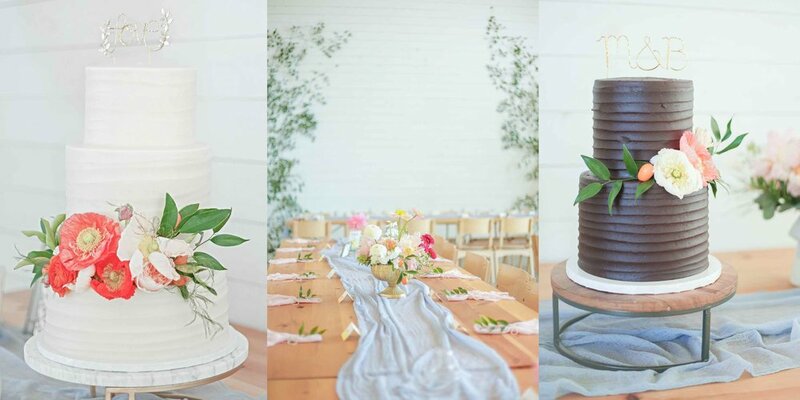 I am overly excited to share this wedding with you today on the blog! 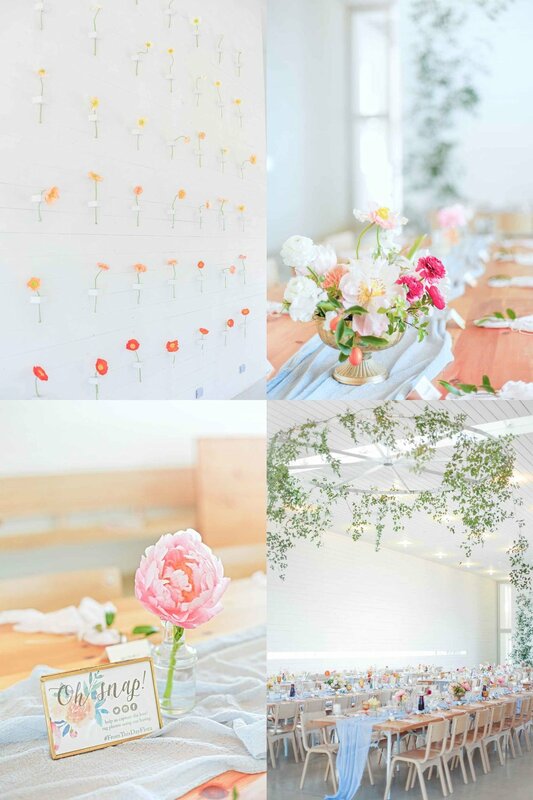 This wedding alone has inspired me to be more open to having color throughout my home and in my life. 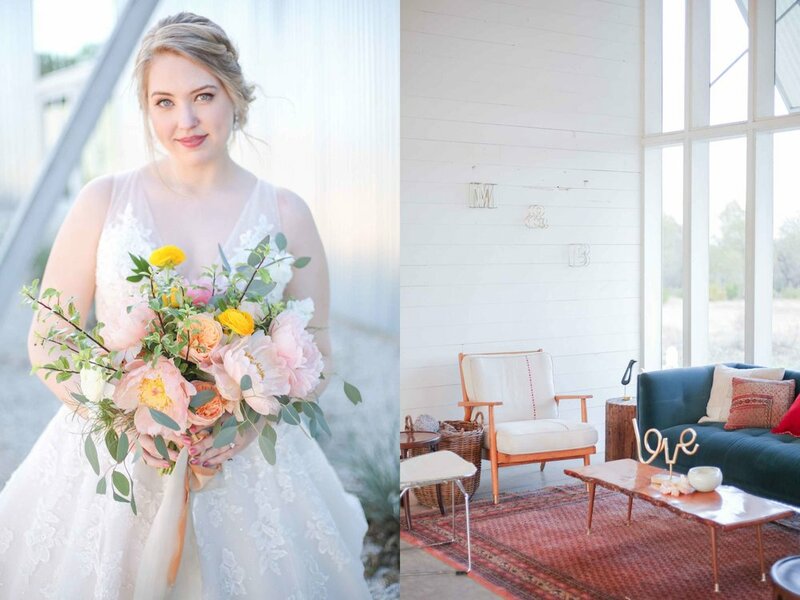 I absolutely LOVED the way I felt when I walked in to the Prospect House and saw all the colorful florals the amazing Lady D from Black Petal Floral Design had used to transform the space. Can I just say right now that the energy each bright color brings to an event is magnetic & I'm convinced everyone felt energized just looking at the vibrantly decorated reception area. Oh, and also, the chic lounge by LOOT Rental was an absolute hit as well, especially during cocktail hour. Side note: The following paragraphs explains the back story regarding this wedding. I feel as though sharing this extra story was too important in my life and journey to not explain. It has been said that we are all connected by only six degrees of separation, which I believe is designed by our Creator to make us feel connected to an encouraging group of believers I like to call "my people". This wedding really means a lot to me for multiple reasons. Let me explain. Growing up, I went to a small private school in San Antonio that was K-12th grade called San Antonio Christian School - everyone just calls it S.A.C.S. I attended school there from 5th grade all the way through high school, where I graduated back in 2008 (wow, typing that makes me feel so old). Anyways, I went on to study and graduate with my Photography Degree at Texas State University. It's been five years now since then and I've learned several things throughout the years of having my business. Shortly after graduating, I quickly realized that while having my Photography degree was a really great asset, I needed a bit more experience. I began taking courses online from my idol & mentor photographer couple, Amy & Jordan. They are based in Arizona and have been featured in People Magazine, The Huffington Post and also recognized by Rangefinder as being one of the Top Ten Educators in the wedding photography field. Trust me, they offer photography nerd super food & have helped me learn a lot of what I did not learn in school. My dad always told me "Lyndsay, NEVER stop learning & always seek to better yourself. If you hone in on your craft & spend your efforts mastering your skill, this will be your blessing to others." Well, that little piece of advice has stuck with my throughout the years & I continue to learn more and more about my craft in an effort to not only better myself, but to also serve my clients well. To love and serve my clients well. This is my business mantra and this is also why I started my business. This is also what keeps me going, day in and day out. Amy & Jordan explained that at the beginning years of having a photography business, your family & the people closest to you are actually the people who are most cautious when recommending you to others because while they really want you to succeed, they don't know how much you are committed to the goal of creating and maintaining a thriving and established company. Amy & Jordan explained why this makes reasonable sense, especially at the beginning. 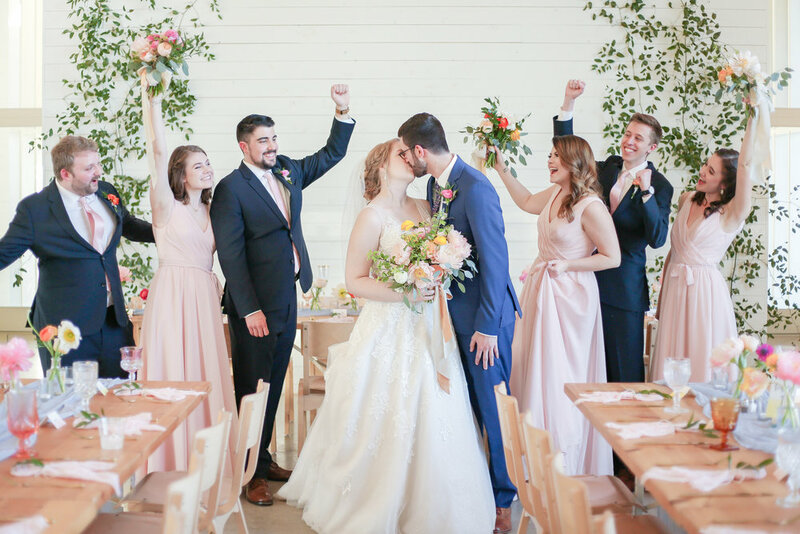 They also explained, in their experience, as time went on and they photographed more weddings and their work and website and marketing began to expand, their friends and family soon realized how dedicated they were and began proudly recommending them to all their friends and friends of friends. Throughout the years of owning and running this business, I've learned so much more than anything I could have picked up in college. It takes being thrown in to situations in real life and dealing with different scenarios to improve each aspect of how I run the business. At the end of the day, I always try to make sure I have loved and served my clients well. Life has a funny way of coming full circle and I can't help but smile when I notice situations that make me feel as though I'm right where I need to be. You see, this couple right here is named Brittney & Mitch and guess what? They also went to the same small private school I went to growing up. Brittney's father is my dad's dentist and guess what? My dad recommended me over a year ago now. After meeting up with Brittney & Mitch at Juiceland to talk details and get to know each other a bit better, I just knew that we were a great fit. I consider this sweet couple "my people". It makes me so proud to show you this wedding because I feel very blessed to have had the opportunity to serve this amazing couple & everything about this day was filled with joy. Brittney & Mitch have a love for one another is very evident when you're around them and their wedding day was a bit more emotional for me than usual. I may or may not have teared up a bit behind my camera when I saw Brittney's father tear up as he walked his daughter down the aisle. It was one of the most genuine moments I've had the privilege of being able to witness, so being able to capture that moment for this sweet couple was very rewarding. As they said their vows to one another, I noticed many happy tears were also rolling down the faces of their closest friends and family. Brittney & Mitch had become one and to witness this was an honor. It was such a blessing being able to capture your big day! I truly hope you look back on your wedding day with nothing but great memories as you start your new life together. I especially appreciate that you both come from the same school I attended growing up. I hope you cherish your photo gallery for generations to come and frame your photos all over your house as a reminder each and every day how much love you share together. Cheers, you two! I look forward to seeing where life takes you both and don't forget y'all are my kind of people, so stay in touch! P.S. I will always remember the best man's speech as he explained how excited Mitch was to graduate from S.A.C.S. so he could "date girls from U.T." & guess what? He ended up falling in love with the most amazing woman-aaaaaand, she was from S.A.C.S. 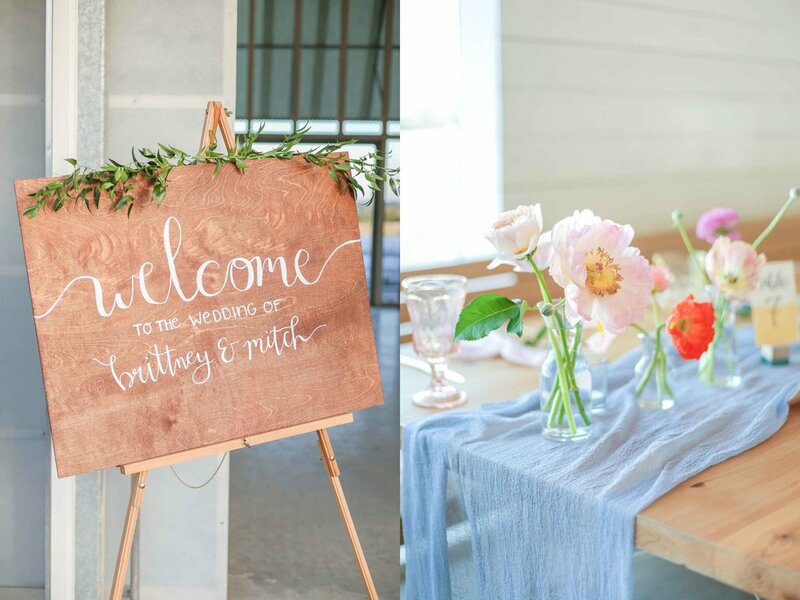 Catering: The Root Cellar Catering Co.